Credibility is a powerful factor in any leader’s life. Without credibility, people will struggle to find a reason to follow you. When you have credibility, people realize you get things done. 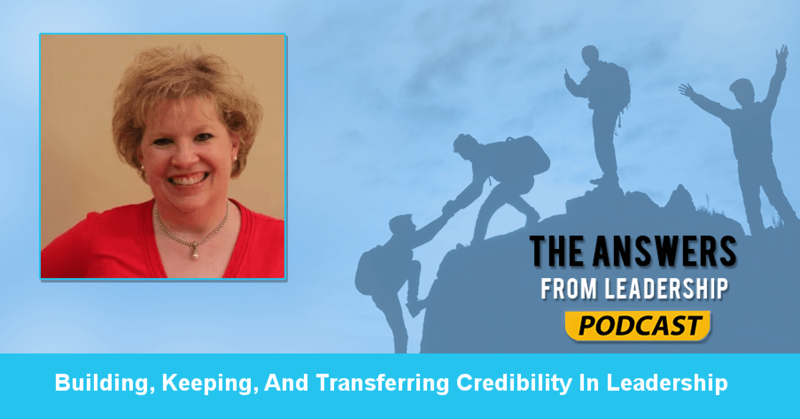 Susan M. Barber, our guest today on Answers From Leadership, knows a thing or two about building, keeping, and transferring credibility. And that’s what Susan and I discuss in episode 35 of Answers From Leadership. Susan, what else would you like listeners to know about you? No, you did a great job introducing me. I define leadership as inspiring others with a shared vision. Empowering them to deliver objectives and having integrity. What’s interesting is helping people achieve things they didn’t even think as possible. Yeah, that’s the hard part. You develop them and make them so great that they go somewhere else. And as you’re helping people transition into new roles, they can struggle with credibility…. Absolutely, in any role that I’ve ever taken, and I think anyone struggles with it, I think I’d do the same thing no matter what. What I’ve always done is to try to find the right people to connect with. My direct supports, if I have a team, my management, my clients, understanding who the key stakeholders are. Then I share information about my background. Where I’ve come from and what I’ve done and then ask the same thing of them. Why should we be concerned about building credibility? Credibility, to be able to do things effectively, helps to build trust. If you don’t have trust, it’s really hard to get things done. 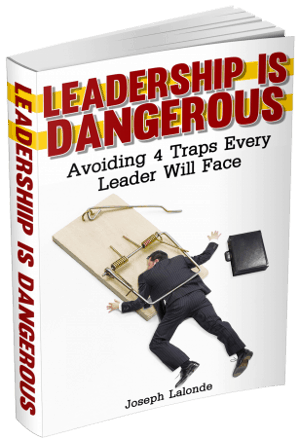 Does credibility play into multiple facets of leadership? Is there technical credibility and relational credibility? I would say yes. I think there’s times when you start with interpersonal or relationship side of things but then you need to back that up with the performance on the job. The other side of it is that if you’re a great performer but take everyone else down while performing, that’s not great. You need to make sure you’re supporting each other and bring each other up together. How can you get back on track if you discover you’re out of balance in the performance or relational area? I’ve seen that happen. In some ways, it’s probably happened to me as well. It sometimes happens when something occurs and you didn’t plan for it. You didn’t think about it. And it affects your confidence. To address that, you have to start from where you are. You have to say I’m going to do better tomorrow. You mentioned confidence builds up to credibility. As you build your confidence and gain credibility, is there anything that comes after credibility? I think when you have a lot of credibility, it affords you a lot of things. When a single issue occurs, you don’t lose your credibility. I see credibility and confidence going together. Is there a way to carry your credibility from one industry to another? Yeah, it’s interesting. If I look at the people who have contacted me, they’re at a point in their life where they’re looking for a different kind of career. Now, people are starting to say I’ve been in this industry but now I’m look to jump to a different industry. The leadership skills you have translate regardless of the industry you’re in. Leadership doesn’t tie to a certain role. Is there a book or two you’d recommend to a leader looking to build credibility in their new position? There’s a couple of books I’d recommend. The Gifts of Imperfection: Let Go of Who You Think You’re Supposed to Be and Embrace Who You Are by Brene Brown. Also, Check out her TED Talks. What’s one thing you wish you would have known about leadership when you were in your 20’s? I could probably talk for an hour about the things I wish I would’ve known. If I think back, I thought I had to have all the answers. I thought I had to answer all the questions and know what they needed. If that was the case, I wouldn’t need a team. How can listeners find you online? They can go to my website which is susanmbarber.com. I also have a Facebook group called Creating Leadership Connections at creatingleadershipconnections.com. You can also find me on Twitter. I’d say that if I could go back in time and tell myself something, it would be to really spend time understanding who you are. If you can do that now before you have a team, just knowing that helps build a firm foundation of who you are. Question: How are you building credibility in your leadership? Share your insights in the comment section below.